I’m feeling a little sad today. I skyped with my mom yesterday. I always feel sad afterward for a few days. To see my mother reduced to a carer and my stepdad losing his faculties of both mind and body is difficult – even though I know they have their life paths to walk and I don’t know what they are here to learn and understand. She and my stepdad are a very generous couple, who were very active hikers, have travelled extensively and shared their good fortune without reservation with their respective families. Every year they came over to the UK for 5 months when our kids were tiny and we travelled all over Europe with them on our summer holidays. My stepdad’s knowledge of the world is phenomenal. I assume this is partly due to having been in the Navy and then going to work for Nato as well as his insatiable thirst for knowledge. Because of his job was moved to different posts and lived all over the world. 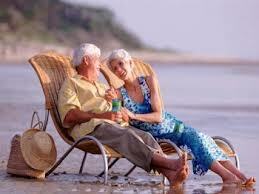 I look forward to the day when ‘old age’ is a time of celebration of health, wisdom, relaxation and enjoyment. But I suppose until then I have to accept that for many the term old age is going to be linked to illness and deterioration of the body and mind. I understand that my stepdad’s health these last three years has kept them away from the UK and therefore hubby and I. We no longer vibrate at the same level. My mother is not perfect, nor for that matter is my real dad. Both of them can be harsh, intolerant and judgemental…but then who isn’t? And yet, even though my parents and I might have disagreements and do not see eye to eye on certain things, both of them and my stepdad totally support me in everything I do. They don’t understand the way that I think or perceive the world, but even so they are proud of me…and for this I am truly grateful to them.